Just giving tennis lessons is not a program, kids want to play - not take lessons, and that's what we think they should do. 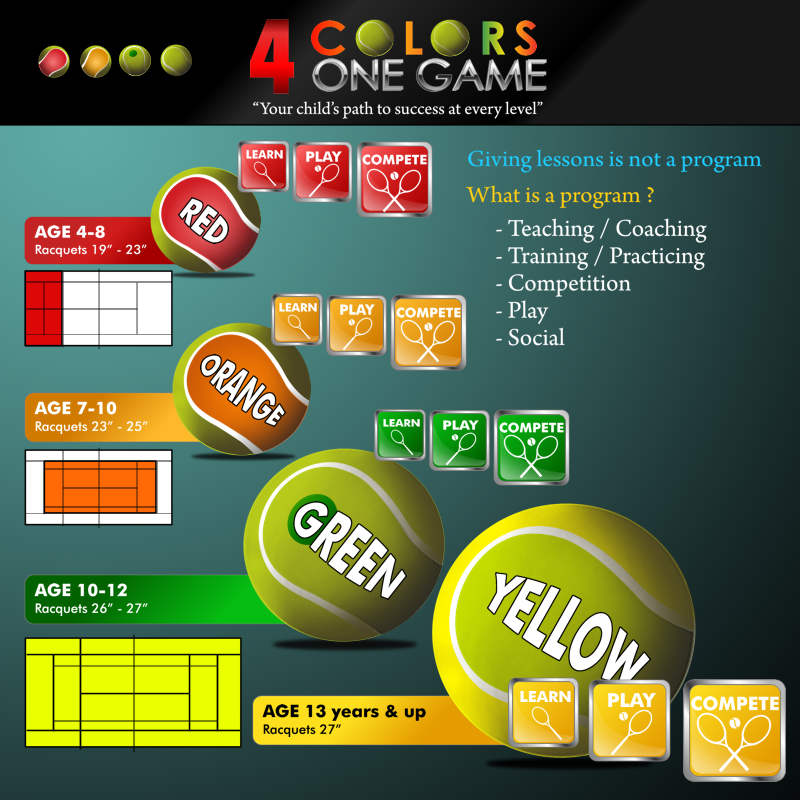 Our programs are designed to get kids playing early and enjoying tennis as a game. Through the programs set out by the USTA for junior tennis, kids learn by playing and having fun while our instructors teach, encourage and motivate them to the next level. Our development pathway lays out how your child will progress with their tennis, and start having fun today.